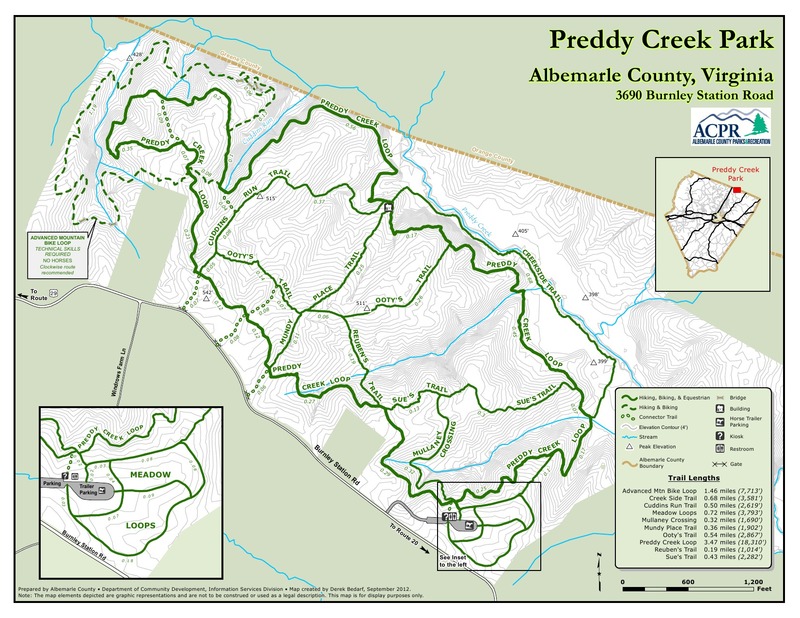 Route: From the parking lot, I ran the “Preddy Creek Loop” trail clockwise, which I extended by tacking on the “Advanced Mountain Loop” and the “Meadow Loop” trails (totaling around 4.5 miles). I then ran this same route–except that I added the Creekside Trail–three more times (counterclockwise), before finishing with around two miles on Burnley Station Road (20 miles total). 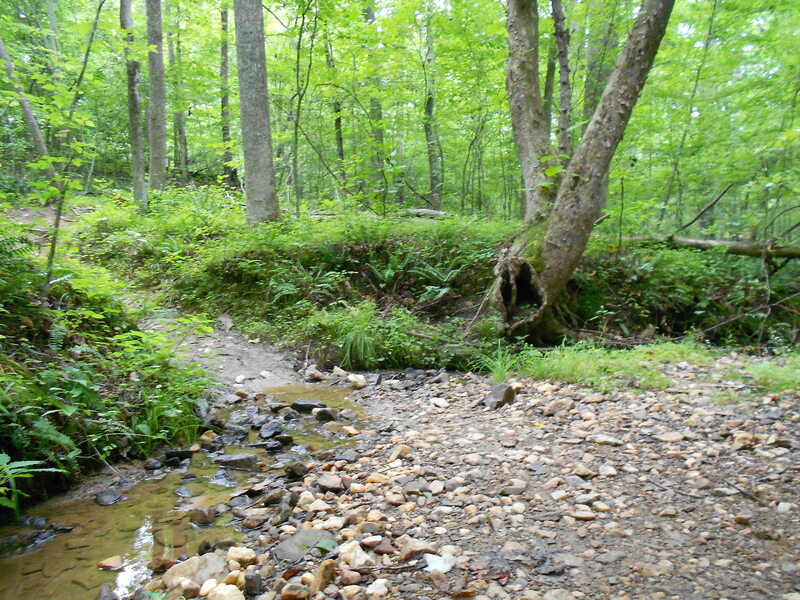 Stream crossing toward the back of the “Advanced Mountain Bike Loop” trail.